Lawson Craddock suffered an injury early in 2015. With the help of Zwift he was able to bounce back quicker and stronger than expected. Lawson Craddock is a professional cyclist with Team Giant Alpecin who suffered an injury early in 2015. With the help of Zwift he was able to bounce back quicker and stronger than expected. When I was 17, I broke my back in a jet skiing accident and had to spend six weeks in a back brace. That also involved six weeks of riding indoors. By the time I was fully healed, I had so much pent up anger at the trainer, I vowed to never get on that thing again. I kept that promise for five years. In January, I was racing the Tour Down Under in Australia when I crashed hard. I came away with a fractured sternum and rib, a broken wrist and a separated shoulder. Needless to say, I wasn’t going to be back riding outside for a long time. The doctor said it would be six weeks, but I challenged myself to make it four. With it being a crucial time to fine tune your fitness for the upcoming season, I was worried that it was going to destroy my entire season. All that time spent training on Strava over the off-season was going to go to waste. Fortunately, Zwift had just started up, and seeing an opportunity to ease the monotony of indoor training, I decided to give it a try. Looking back, it is safe to say that Zwift saved my entire season. When I jumped on Zwift for the first time, I realized how awesome it could be. It gave me a glimmer of hope that I could somehow be able to salvage my season. I quickly got into a routine of waking up and spending an hour and a half on the trainer before breakfast. Then I would relax and sit around before jumping back on for another two hours in the afternoon. I made friends with fellow Zwifters that I would meet everyday. I was able to push myself harder, and the best part of all was that I didn’t want to jump off a bridge after spending so much time on that boring trainer. A bike can be many different things to many people, whether it’s how they get to work, tour the countryside or an extreme form of exercise to get fit for beach season. Bike racers are competitive — there’s no denying it. To compete in this sport you have to be. But no matter what level you ride or race, cycling demands determination, commitment and an incredible work ethic. When I got on Zwift, I found a new stoke for indoor training. It used to be that inspiration was hard to come by on an indoor trainer. That’s why I vowed to never get on one of the things again. Zwift changed my entire mindset. Nothing got me going more than seeing someone cruise by me on the island. I couldn’t abide by that. And so the chase was on. And on. And on. This allowed me to add intensity to my rides that I would have missed if I’d just been staring at the TV. It wasn’t until I did my first race that I realized how much Zwift had helped me out. In my first race back after my crash, I had some of the best power numbers I had ever produced. There was even a moment when I found myself riding straight past Tour de France champion, Chris Froome, on a climb when the race was breaking up. When riding on the trainer, you lose almost 10% of your power through the resistance of the wheel. When you bring that back out onto the road, you get back that power and the feeling is incredible. Plus all the time you spend virtually half-wheeling each other on the island adds up without you really realizing it. Spending that extra lap or two at threshold gives you a massive increase in fitness. And the best part about it is that you’re getting it by having fun; it’s almost like you’re gaining fitness for free! Cycling is competitive and is way too difficult to not take seriously. It is also one of the most enjoyable things in the world. A bike can take you to incredible places, and feeling the wind on your face brings a thrilling rush that can’t be compared. But sometimes being outside isn’t possible whether it’s an injury, weather or even work. Now it’s great to know there is always a time and place to ride while enjoying the beautiful views of Watopia Island with a big ol’ fan blowing in your face. 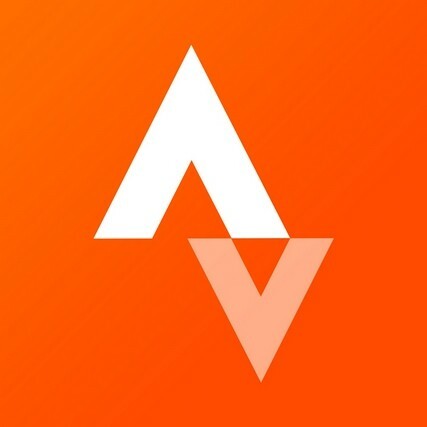 When looking back five years it is hard to imagine a cycling world without Strava. Just like Strava has revolutionized the world of training, you can start to see Zwift having a similar the same effect on indoor riding. Premium cyclists now have access to a whole new suite of indoor cycling features and benefits. From an exciting new collaboration with Zwift, to new indoor training plans and videos from CTS, the days of mindlessly watching the minutes tick by in a musty basement are over. Ride with (or race against) cyclists from all over the world without leaving home. Premium cyclists get two free months of Zwift every year.